The following series of articles gives a recap and brings new players up to speed on the weapons, vehicles, abilities, and spawn systems and strategy in multiplayer of Halo: Combat Evolved, Halo 2, Halo 3, and Halo 4. Due to the sheer volume of information, some subjects were chosen according to how much they vary from game to game, to better prepare the player. Across the board, Halo weapons follow some general rules of similarity. For example, Covenant weapons as a general rule do not reload and are spent once you’ve used the ammo. For this reason, when you get the visual indicator to pick up another Covenant weapon that you are already holding, you should probably switch it out for a weapon with more ammo. Needlers are the exception. Automatic Covenant weapons will overheat and stop shooting if their fire is not controlled by the user and given breaks. UNSC automatic weapons, on the other hand, can be much more precise and the bullet spray more controlled if sharp, short bursts are used as well. Covenant weapons, being weapons of energy, take down shields faster. Once shields are down, UNSC weapons do a great job of finishing the enemy off. 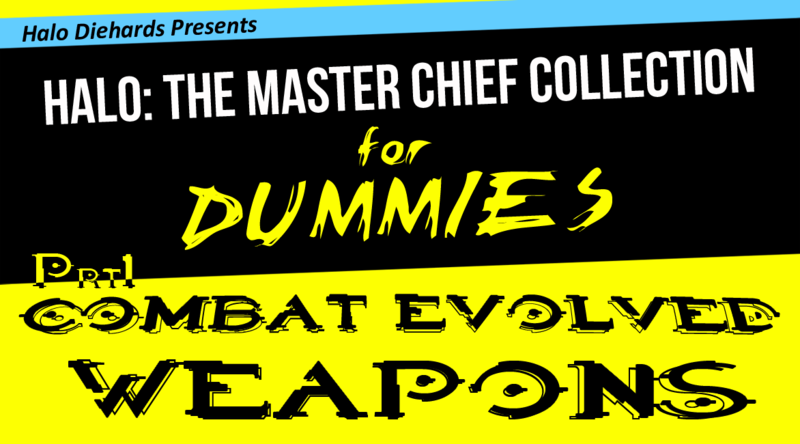 Both weapon classes have subtle and not so subtle nuances that make each weapon more effective if used just right. Of course there are plenty of Covenant and UNSC weapons that will finish the job just as it’s getting started, and here we hope to offer some tips and tricks on just which ones those are how to do that. 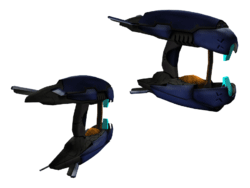 Many of the weapons in Halo:CE are much more powerful than successive Halo installations, though they may take more skill to use due to less bullet magnetism. Bullet magnetism is assistance coded into the game that will actually pull your bullets into the enemy if you shoot close enough. Halo:CE was, and still is by many, considered the best competitive Halo, and the use of it’s far more lethal weaponry, resulting in faster killing times, could be one of the reasons why. At the time of Halo:CE’s release, the game was only available for multiplayer via LAN, where multiple Xbox consoles could be attached using ethernet cables, allowing gamers to play similar to the online custom Halo games of today. Following are some of the Halo:CE weapons that stand out as being significantly different in multiplayer gameplay than in other Halo versions. In Halo:CE, we weren’t able to use the energy sword yet, so it won’t be making an appearance in the standard matchmaking playlists in Halo: The Master Chief Collection. When firing weapons in the Halo:CE standard gametypes at long-distance targets, you must lead your shots. Whether this will be true when Halo: The Master Chief Collection hits will be interesting to see. 343 has said they went to great lengths to maintain the essence of the earlier Halo’s but that some things were changed inadvertently with better netcode and internet connections. It’s possible this is one of them. 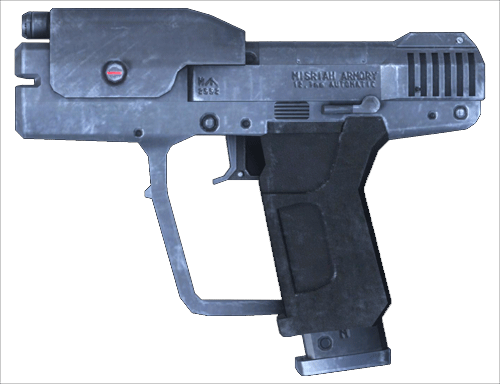 The go-to gun of Halo:CE, the pistol holds 120 rounds (12 in the clip) has automatic fire and similar to many fps sniper rifles, can zoom in twice. This weapon has a three-shot kill, five if they’re all body shots. The Halo:CE pistol can is a semi-automatic, but spamming it makes it far less accurate. It is better to line up and take one shot at a time. The Halo:CE assault rifle is a staple starting weapon, and is good for close range, quickly losing accuracy at longer ranges. It fires 7.62 x 51mm armor-piercing rounds, which sounds good in theory, but in game provides low damage per hit. This rifle is more accurate at closer ranges and with controlled bursts against other Spartans, but seems to do higher damage to Banshees than other weapons. 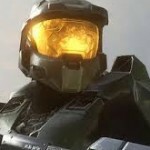 Like other Halo’s the 99C-S2 Antimatériel of Halo:CE can kill in one headshot or two body shots. In CE you don’t have to lead your shots with the sniper. The Halo:CE shotgun has crazy range. This thing is a beast. Each shot fires a burst of 15 pellets; however, it does only fire one round at a time before your Spartan has to reload another shell. Only effective at close range, but beastly on vehicles as well. This weapon also has a 2x scope, allowing you to rocket-snipe your enemies from afar. In Halo:CE, the M9 HE-DP (High-Explosive Dual-Purpose) grenade was a very dependable thing. You can learn exactly where to throw this grenade, at what angle, and it will go to the exact same place every time, making for some great strategy and allowing you to better control maps, enemy spawns and movement, and get your kills. If your enemy does not have a shield, like all other Halo games, a frag grenade in the vicinity will be the kill. This weapon can also be used in Halo:CE for grenade jumps. If you have full shields, you can lob a frag grenade into a corner under where you want to jump, and time your jump so that it’s explosion launches you up and onto platforms you otherwise would not be able to reach. Here is a video by Paul Chinn showing the bullet magnetism in Halo:CE for UNSC weaponry, which is weaker than later installments of the series. As mentioned before, the Halo versions in The Master Chief Collection are expected to behave as each does originally, as much as possible. This standard Covenant weapon has seen some performance tweaks across the board of Halo multiplayer gameplay, and the strength with which it tracks the enemy with a charged plasma shot varies from game to game. To charge a plasma pistol, hold the trigger until the indicator maxes out, then release it on a subject when your reticule shows red. This allows the charged plasma shot to lock on, but the gun can overheat if you hold that position for too long. The ball of plasma is slow and easy to sidestep. The plasma pistol has the fastest melee in Halo:CE. As with all the Halo games, in close range, you can spam the plasma pistol’s semi-automatic fire and usually finish off an enemy with a melee, provided you get enough shots in, but be conscious that in CE this pistol can overheat using single fire as well. In Halo Combat Evolved, the semi-automatic fire of the plasma pistol will stun your target. I could not find how many single shots it takes to kill with a plasma pistol in Halo:CE. The plasma rifle on it’s own is pretty beastly at close-range, and quickly takes down an enemy’s shields. But be careful, this weapon overheats, and will begin to misfire when at around 10% battery life. The needler in Halo:CE explodes when seven or more needles enter the object. It has the slowest melee, and does not have an impressionable tracking ability in this installation. Unlike later installations of Halo, the plasma grenade of Halo:CE is very sticky, and has a large blast radius. It won’t stick to the scenery, but it doesn’t bounce, either. It’s a favorite for grenade jumping, since you can more easily predict where it will stay when throwing it. But watch out for it’s blast radius, because too close and you’re a goner. Ah, yes, and thanks for the feedback, Kkrull! I did have that Halo:CE had “less magnetism” in the intro, but I was assuming people knew what that meant. It is difficult to write an article that can appeal to everyone: I didn’t want to put so much newb stuff in there it chased off more serious players, but that’s definitely a good one to clarify! I’ve changed the sentence as you’ve suggested. OK, I didn’t know what the point of the first video was because I hadn’t heard the phrase “bullet magnetism” before. 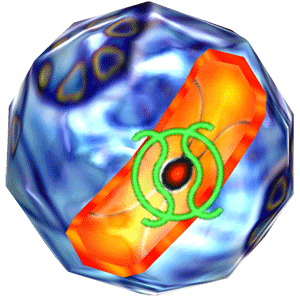 Perhaps add a brief description of what it is, and if it is stronger or weaker in CE than in other halo versions.